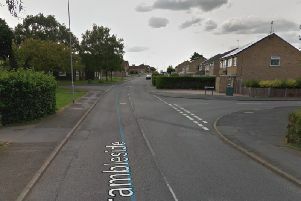 A man was threatened with a knife and then robbed after he was confronted by a gang of three men on bikes as he walked home from the pub. The 25-year-old victim was walking home from The Sun pub when he was approached by three men on mountain bikes near the roundabout in The Warren in Hardingstone shortly after midnight on Saturday morning (May 9). They asked him for a cigarette but, when he refused, he was grabbed from behind and punched in the face. One of the attackers took out a knife and searched the victim’s pocket, stealing cash, before the offenders rode off towards Hardingstone. The man with the knife is described as about 6ft tall with a medium build and wearing gloves. All three men were wearing dark clothing and had their faces covered. Witnesses or anyone with any information are asked to call Northamptonshire Police on 101. Alternatively, they can call the independent charity Crimestoppers anonymously on 0800 555 111 or use the anonymous online form at www.crimestoppers-uk.org.